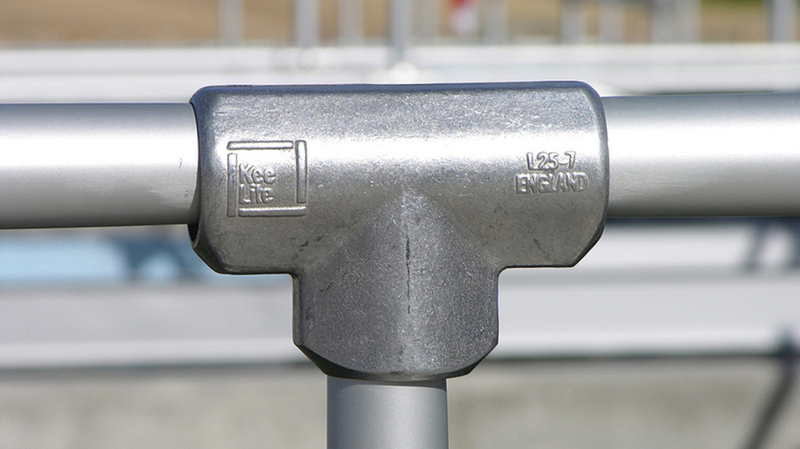 Kee Klamp and Kee Lite structural pipe fittings are used to build anything from Pipe Railing to Industrial Furniture or just about any rigid pipe structure. Structures built with pipe and pipe fittings typically last up to seven times longer than a fabricated solution. When installing Kee Klamps, a simple hex key is the only tool required to create a strong, rigid joint. If a fitting or section of pipe is damaged, a replacement part can be ordered and installed easily by a general contractor. No welding or costly repairs are needed. There are over 80 different types of Modular Pipe Fittings. These diverse connections allow you to create structural connections without the need for welding. Our Structural Pipe Fittings are made from corrosion resistant galvanized steel and are typically used to create pipe hand railing and other pipe-based structures. 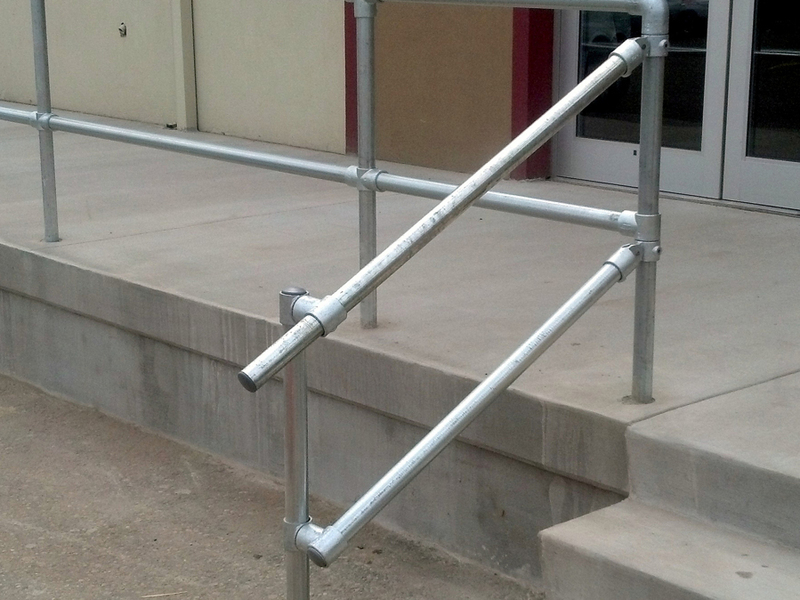 You can use Kee Access components to construct smooth ADA handrails. The components clamp to the inside of the pipe. This allows you to connect several pipes together to create a smooth handrail. 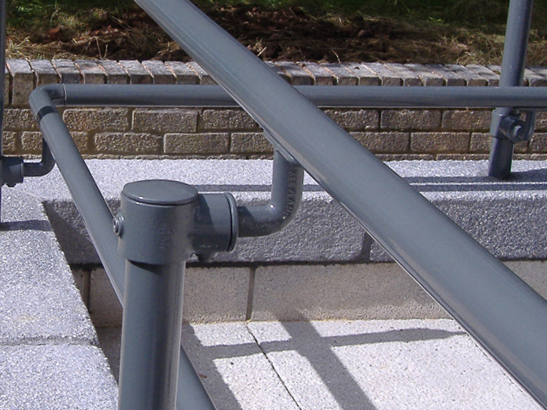 Kee Access fittings can also be used to build residential handrails for porches, steps and ramps. Kee Klamp, Kee Lite and Kee Access pipe railing fittings are ideal for building handrails and guard rails that are easy to install, made to last, and can be ADA and OSHA compliant. The video below will show you the many different styles of railings that can be constructed with Kee Klamp and Kee Lite pipe railing fittings. Kee Klamp pipe railing fittings are the galvanized version of the slip-on pipe fitting. These rail fittings will slip-on to schedule 40 pipe to create a connection that is equivalent to a weld. Pipe railing fittings can be used to build simple residential railings or complex multi-rail guardrails for commercial infrastructure. 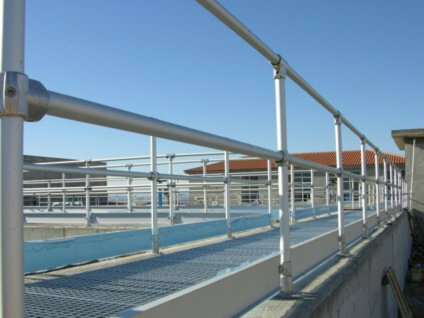 These pipe railing fittings can be used in water rich environments because the surface is completely galvanized. Kee Lite pipe railing fittings are made from high quality aluminum. These slip-on railing fittings are lighter weight and have a sharper look than their steel counterpart. 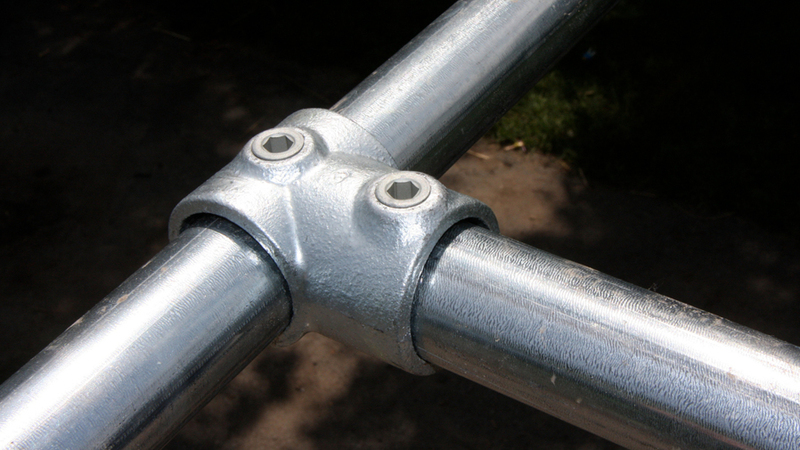 Aluminum is also more resistant to corrosion than the galvanized steel pipe railing fittings. 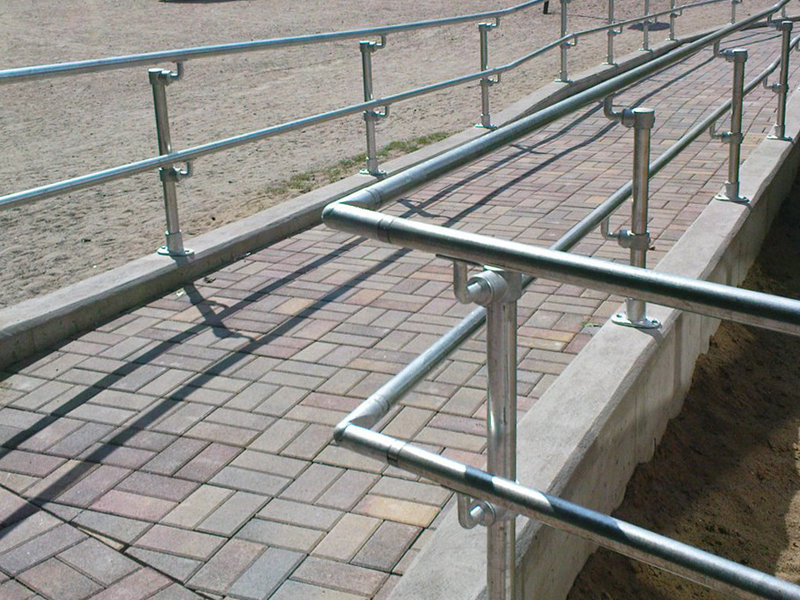 ADA railings demand that the railing surface be smooth as the user runs their hand along the surface. Kee Access ADA pipe railing fittings use internal couplings and special brakets to make the smooth railing construction fast and easy.